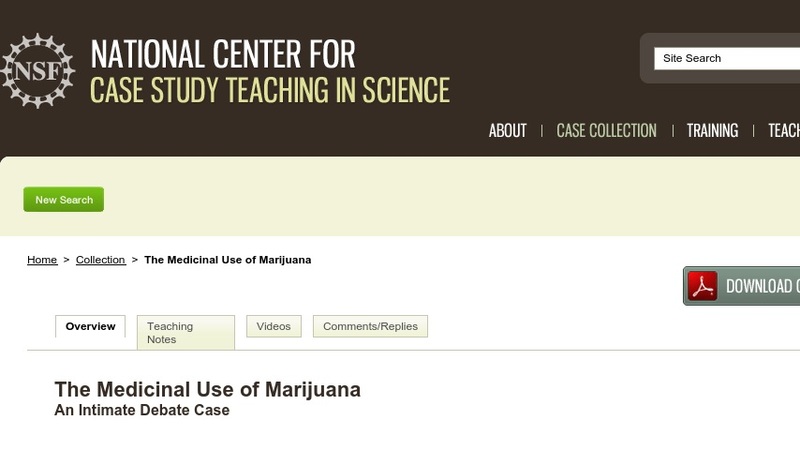 Whether marijuana should be legalized for medicinal purposes has been contested for decades. The claims, counter-claims, issues, and judgments in this high profile controversy make it an excellent candidate for “intimate debate.” While similar to traditional debating formats and ground-rules, the method of intimate debate has important differences. There is no audience, each student argues each side of the issue seated across from their opponents in pairs, and the session concludes with opposing teams reaching consensus. The case is suitable for any course where medical issues and social issues of science are discussed and in any classroom setting, from high school to professional school programs such as nursing and pharmacy.